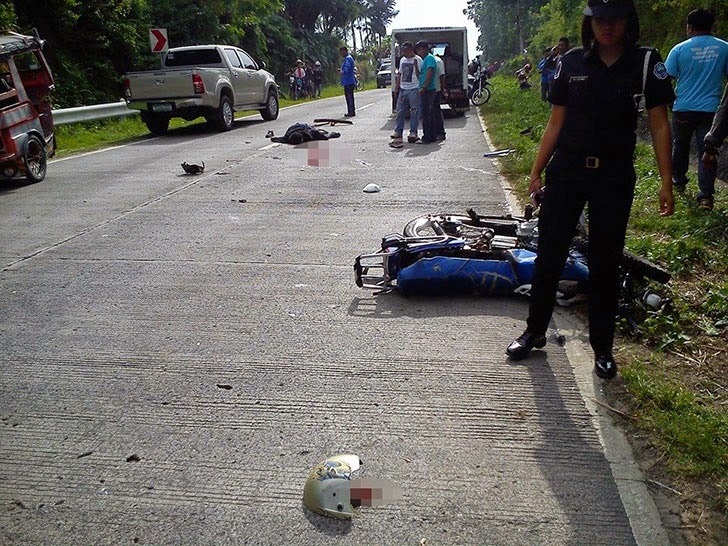 A man died on the spot during a brain splattering motorcycle accident along the highway at Barangay Sikitan in the City of Kidapawan, Philippines. 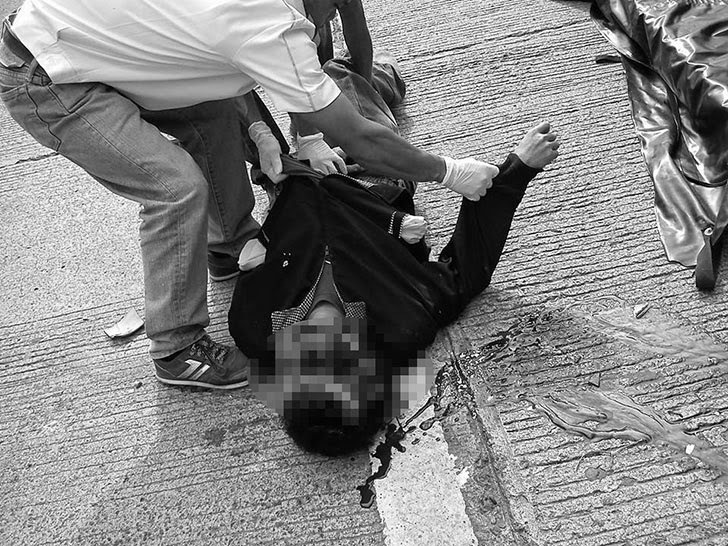 A certain Aldin Untalan posted gross pictures of the motorcyle driver who died instantly in the middle of the concrete road. One of the pictures shows half of the victim's head that was broken in half and severely damaged. 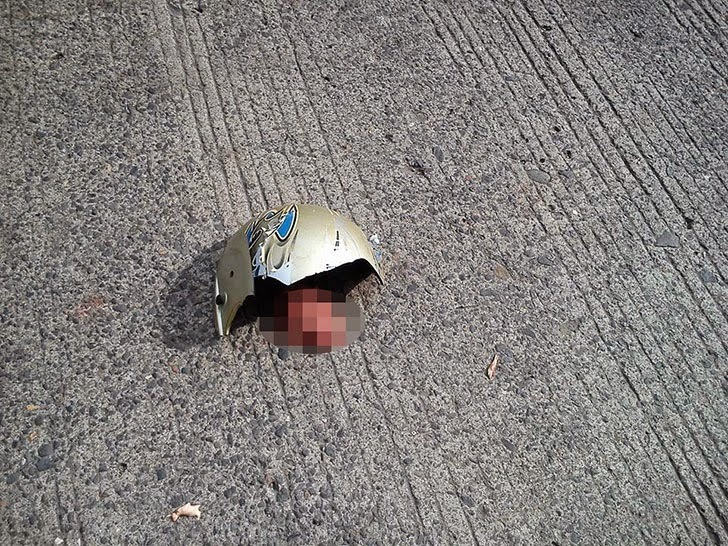 Another shows part of his brain left inside the helmet that rolled several meters away from his lifeless body. 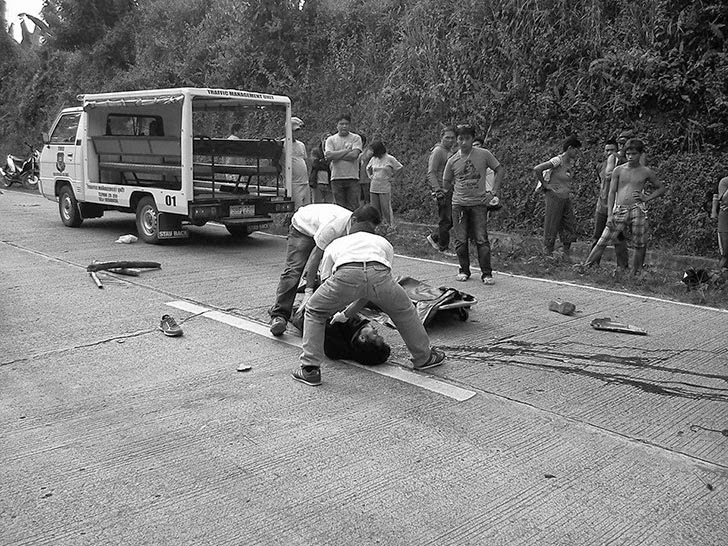 As of posting time, the identity of the fatality and the cause of the accident as well as the exact time and day the accident happened have not been disclosed. 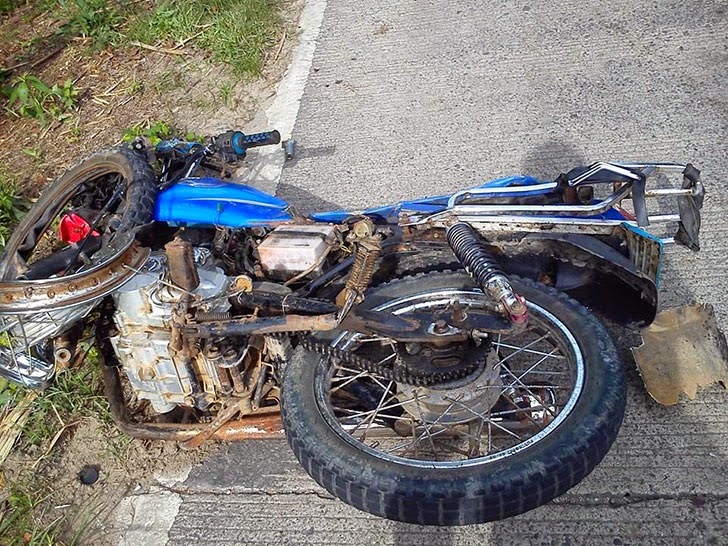 In his post, Untalan warned motorcycle drivers to limit speed and be extra cautious while driving.